Shivraj Singh Chouhan Says Budget Will Help Farmers, Congress Says "Misleading"
Shivraj Chouhan Says Budget Will Help Farmers, Congress Says "Misleading"
Shivraj Singh Chouhan, in a tweet, said, "Agriculture is the lifeline of our country. I welcome government decision to provide 1.5 times of cost as minimum support price (MSP) for Rabi crops. This step will provide a boost to farmer incomes." 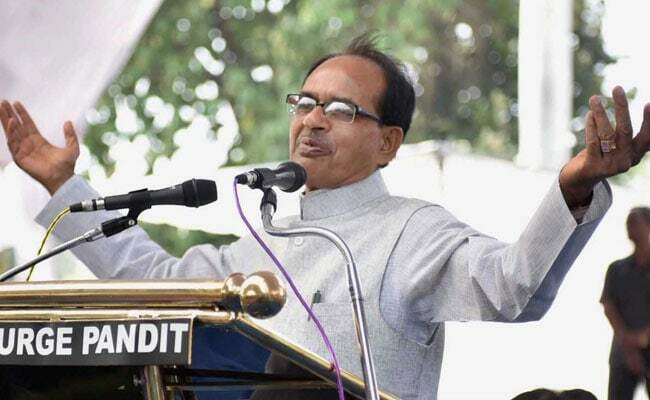 Bhopal: Madhya Pradesh Chief Minister Shivraj Singh Chouhan today said the union budget would provide a boost to farmers' income. However, the opposition Congress dubbed it as a "misleading budget based on the jugglery of numbers." He said the cluster farming will help small and marginal farmers. "Specialised agri processing will help us to utilise well our surplus production and improve realisations for farmers. This budget will also boost organic farming," the chief minister said in another tweet. The Saubhagya Yojana, providing power connections, will play a crucial role in realising the goal of power for all, he further said. Lauding the announcement of health schemes, Mr Chouhan said in a tweet, "This is a revolutionary health protection scheme for the poor covering 50 crore of population. This will provide significant relief to poor and vulnerable from high medical expenses, at the same time providing quality healthcare." "Another landmark initiative taken in the field of education. Allocation of Rs one lakh crore for RISE will give a significant uplift to school infrastructure in India making learning more interactive and efficient(sic)," he said in another tweet. Shivraj Chouhan also lauded the allocation of a whopping Rs 95,000 crore for the development and welfare of the scheduled castes and scheduled tribes. The budget would offer a big boost to the MSME sector as the firms with a turnover of Rs 250 crore (previously Rs 50 crore) will now benefit from the lower tax rate of 25 per cent, he said. This will provide a significant fillip to the industry and investments, he added. "This budget has harmed the interests of the middle class. This is true BJP type budget, which shattered dreams of the people. This is a misleading budget based on the jugglery of numbers," Leader of Opposition in the state Assembly, Ajay Singh, said.